This web site provides the public with knowledge of current and historic sites for non-fuel mineral mines or prospects in the state of Texas. The mineral industry of Texas comprises a wide variety of extractable commodities ranging from sand and gravel, crushed stone, to silver, titanium, and rare earth element bearing minerals. The industry is consistently a top five producer of several commodities when compared to other states in the U.S., and a vital industry to the local, regional and statewide economy. 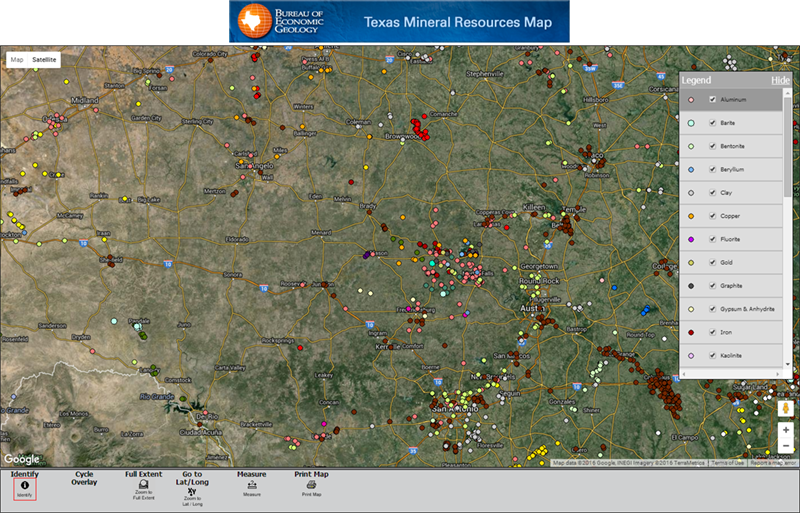 Click image to view the interactive map of Texas Mineral Resources.